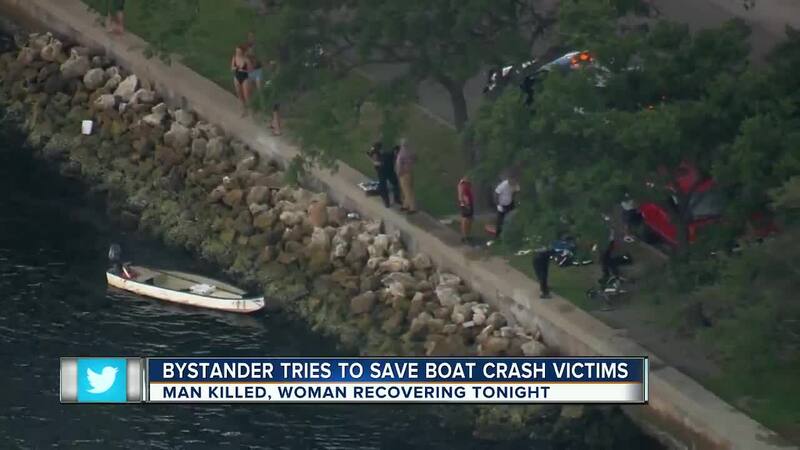 TAMPA, Fla. — One man is dead, and a woman suffered serious injuries after a boat crash on Sunday. According to Florida Fish and Wildlife officials, a witness reported seeing a 15-foot boat strike a piling in the water near Davis Islands around 5:23 p.m. 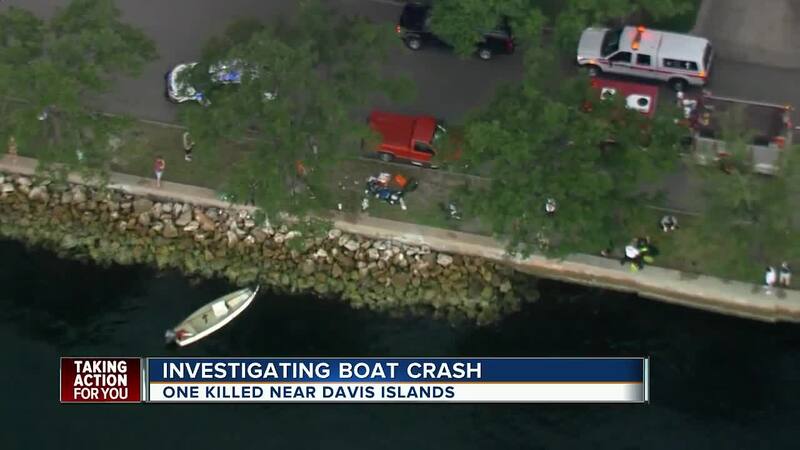 Initial reports indicated 22-year-old Keith Rohde and 22-year-old Brittany Mundie were ejected from the boat by the impact, but witness Jay Young tells a different story. Young said he tried to find Rohde, but couldn't see him in the water. "But the boat started to spin and she just jumped in. I swam over there immediately," said Young. And then to his horror he saw she was trapped under the boat. "She had longer curly hair so it was very wrapped around the propeller blades and I was yanking at it to try to get it out of there because we have to get her above the water. I even yelled to people on shore for a knife. But no one had one. So it was just pulling what I could," said Young. He finally got her free and to where paramedics were waiting. “She was breathing again by the time we got her to the rocks and I was amazed I couldn't believe it," said Young. Emergency responders rushed her to Tampa General Hospital. Her condition is listed as serious. Crews discovered Rohde in the water after a lengthy search.